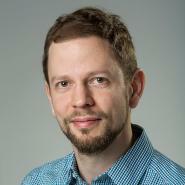 Philipp Voigt is a Sir Henry Dale Fellow at the Wellcome Centre for Cell Biology. Work in his lab aims to determine how different histone modifications interact to regulate gene expression in embryonic stem cells, focusing on Polycomb and trithorax group protein complexes. His lab is taking a multidisciplinary approach, combining biochemistry with proteomic, genomic, cell-biological, and systems biology-inspired techniques. Philipp received both his undergraduate and graduate degree in Biochemistry from Freie Universität Berlin, Germany. His PhD work focused on phosphoinositide kinase signalling pathways in lymphocytes. In 2008, he joined the laboratory of Danny Reinberg at NYU School of Medicine, New York, for his postdoctoral studies. There, he studied molecular mechanisms of Polycomb-mediated gene silencing, revealing that sister histones within single nucleosomes can carry different histone modifications in an asymmetric fashion. He moved to Edinburgh in November 2014 to start his own research group as a Sir Henry Dale Fellow and ERC Starting Grant holder. The overarching goal of research in our lab is to elucidate how histone modifications regulate gene expression. We are keen to understand how different histone modifiers and readers interact to establish complex regulatory systems that control development and affect disease states. We are taking a multidisciplinary approach to tackle these questions, combining biochemistry with proteomic, genomic, cell-biological, imaging- based, and systems biology-inspired techniques. We focus on the interplay between Polycomb and Trithorax group proteins at bivalent domains and poised enhancers, in order to clarify how these complexes regulate expression of developmental genes in embryonic stem (ES) cells. Bivalent domains harbour a distinctive histone modification signature featuring both the active histone H3 lysine 4 trimethylation (H3K4me3) mark and the repressive H3K27me3 mark (Figure 1A). They are presumed to maintain developmental genes in a poised state, allowing for timely expression upon differentiation while maintaining repression in ES cells. Bivalent nucleosomes adopt a previously unknown asymmetric conformation, carrying the active and repressive mark on opposite copies of histone H3 (Voigt et al., Cell, 2012). However, it remains unclear how bivalent domains function to poise genes for expression in ES cells and whether they are essential for proper ES cell differentiation and development. To address these questions mechanistically, we performed pulldown experiments with ES cell nuclear extract and recombinant asymmetric, bivalent nucleosomes. We found that bivalent nucleosomes are unable to recruit binding proteins for H3K4me3, despite presence of the mark. In contrast, bivalent nucleosomes retain binding of H3K27me3 binders. Moreover, we further uncovered binding proteins for bivalent nucleosomes that are not recruited by either mark on its own, representing factors that might specifically read the asymmetric bivalent configuration. Our findings suggest a model by which bivalent nucleosomes mediate poising by preventing binding of activating factors while being bound by Polycomb complexes and bivalency-specific binding proteins. To explore the function of bivalent domains and associated genetic elements from a systems biology-inspired perspective, we are establishing a reporter gene system that allows us to quantify the impact of bivalent domains on gene activation and repression kinetics in order to understand how this chromatin signature acts to fine tune gene expression during development. We are testing the hypothesis that bivalent domains integrate repressive and activating signals in a dynamic fashion to fine-tune expression during development (Figure 1B). Jacob, Y., and Voigt, P. (2018). In vitro assays to measure histone methyltransferase activity using different chromatin substrates. Methods Mol. Biol. 1675, 345–360. Brewster, R.C., Gavins, G.C., Günthardt, B., Farr, S., Webb. K.M., Voigt, P., and Hulme, A.N. (2016). Chloromethyl-triazole: a new motif for site-selective pseudo-acylation of proteins. Chem. Commun. 52, 12230–12232. Voigt, P., Leroy, G., Drury, W.J., Zee, B.M., Son, J., Beck, D.B., Young, N.L., Garcia, B.A., and Reinberg, D. (2012). Asymmetrically Modified Nucleosomes. Cell 151, 181–193.